A couple of weeks back my mum dropped a photo off with me that my Grandpa wanted me to take a copy of. 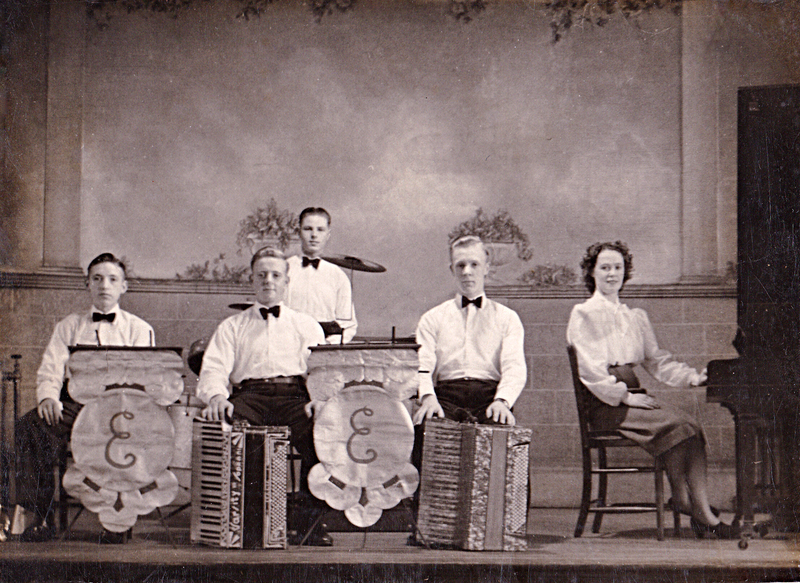 It was an awesome photo in which featured my Grandpa as a young lad with a band. (He is the dashing young man 2nd from left) One of the other gents my Grandpa had recently found out had gone into a care home so had decided to visit him.Reminiscing about old times the photo in question had come to mind and this was the reason my grandpa had asked for a copy so he could pass it on to him. I made two copies so my Grandpa couple keep one for himself and handed them back. Having bumped into my Auntie Edna (not my real auntie but she is awesome) she told me how Grandpa had told her all the tale and how the gentleman’s face had absolutely lit up when he had been handed the photos. She also went on to tell me it was actually my Grandpa’s best man from when him and my Nan had got married. I’m glad I had a hand in this smile that my Grandpa had created for an old friend. 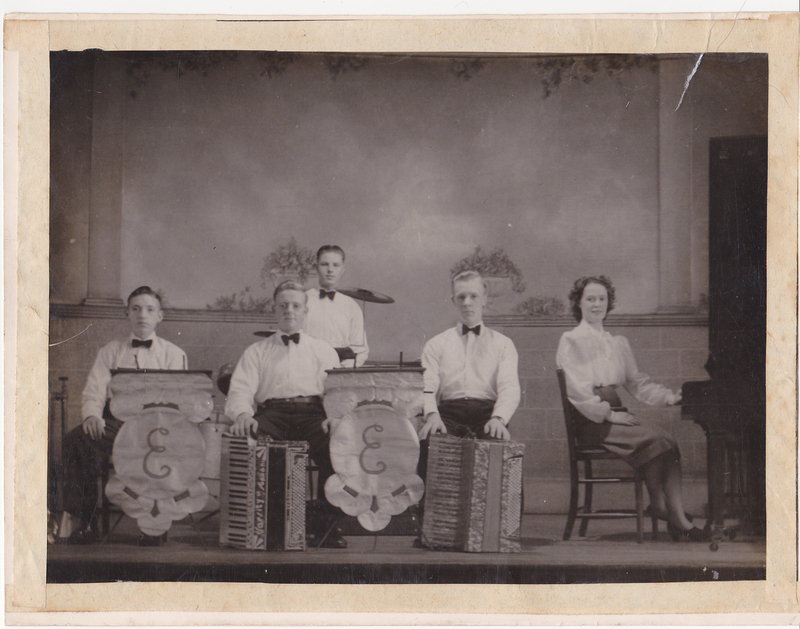 This entry was tagged auntie, band, friends, grandpa, old photo, smiles. Bookmark the permalink.